With no known side effects and proven research dating back to the world war two to support its claims, extract is fast becoming a widely used herb in the treatment of visual disorders and eyesight problems. Bilberry is a perennial plant that comes from Europe, Western Asia and the Rocky Mountains in North America. It is a shrubby plant that bears edible fruits which are similar to American blueberries. It is also related to the cranberry family of fruits. What Are The Bilberry Health Benefits? Herbalists in Europe have been using bilberry extract for many years to treat various complaints such as urinary tract infections, kidneys stones, and diarrhoea. Bilberries are also known to be powerful antioxidants and can be used for protecting the cells in the eyes and other parts of the body from free radicals and toxins. Bilberry supplements are fast becoming increasingly popular in today's medicine culture especially for the treatment of vision disorders including cataracts and poor night vision. Scientists have studied the claims of RAF pilots from the world war two who reported improved night vision after eating bilberries. Through scientific research they have discovered that bilberries contain two compounds; anthocyanosides and tannins. Anthocyanosides improve the blood flow to the tiny vessels that keep the eyes healthy, as well as maintaining good blood circulation throughout the body. This can also help with varicose vein and haemorrhoids. Tannins have been found to help treat diarrhoea, sore throats, and mouth inflammations. How To Use Bilberries ? Bilberry extract can be obtained in the form of liquid, dried herbs, or capsules. 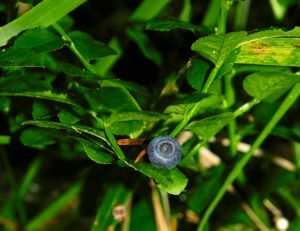 Bilberries can be dried and used to make herbal tea. Dried whole berries or crushed berries can be used to make this tea. It is made by pouring boiling water over the berries and leaving them to seep for up to 5 minutes. If you choose to take a bilberry supplement, there are various measures available to treat different ailments. For cataracts and other eye problems it is recommended to take 160mg of a standardised extract two to three times a day. For varicose veins take 80 - 160mg of a standardised extract three times a day. There is no limitations on the length of time you may use these supplements. The dried fruits of the bilberry plant have been deemed safe to use, but it is probably best to avoid using the leaves until further studies into their safety have been carried out. You can take bilberry extract with or without food. There are no known dangers of bilberry or side effects to taking a bilberry supplement or using it for medicinal purposes even when used on a long term basis. There are also no known interactions with other drugs or body nutrients whist taking bilberry extract.